In the Spring I had the pleasure of shooting some videos with the Fat Quarter Shop. 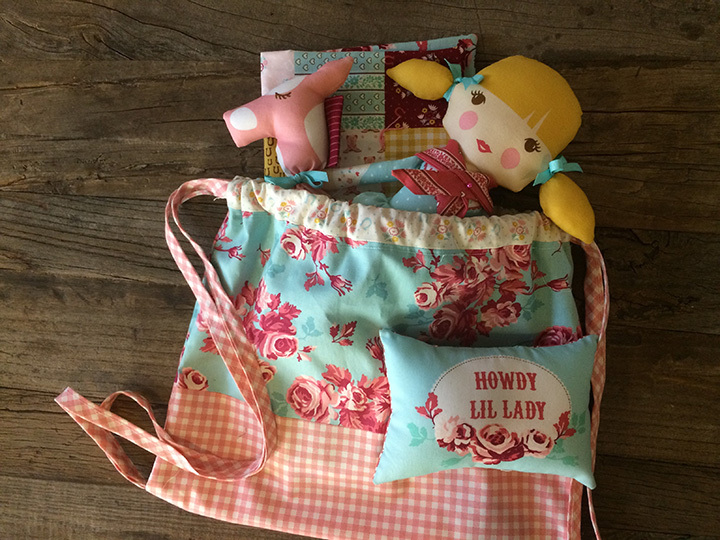 I was especially excited to share this fun project. 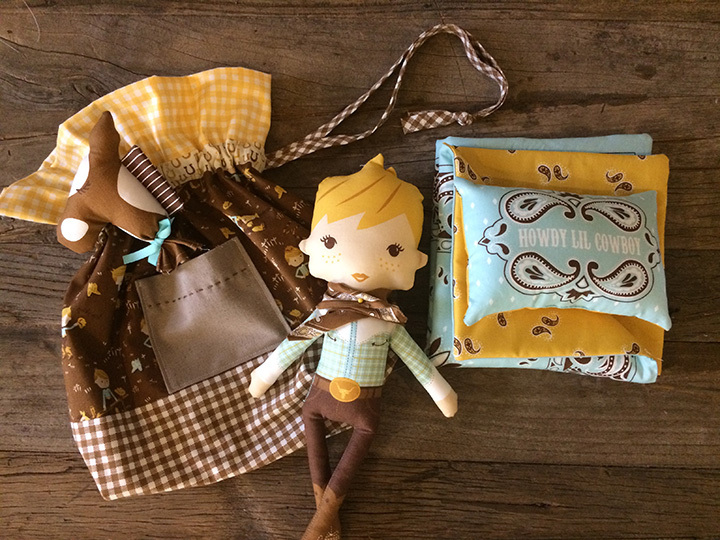 These little draw string bags are perfect for your little ones to carry their Howdy dolls as well as their accessories. They also make a perfect gift wrap. Functional and eco friendly! Take a look at these photos and check out this video on how to make them! I love both the Houses and flower rows. The new Row by Row book is super.